I’m doing another Choose Your Yarn Adventure Yarn Giveaway this week. 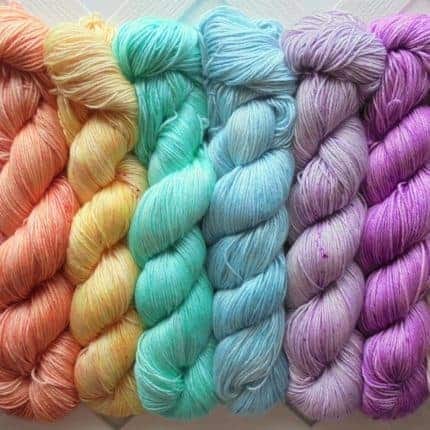 Choose your favorite of five lovely yarn bases, all dyed in my A Little Princess colorway. The winner will receive his or her favorite skein. *So Silky Sock, which is made of 50% mulberry silk and 50% superwash merino. *Donegal Sock, which is made of 85% superwash merino and 15% nylon nebs, giving the yarn a lovely tweed look. *Squoosh DK (my newest yarn base), which is made of 100% extra-soft superwash merino that’s impossible to stop squeezing. *Donegal DK, which is made of 85% superwash merino and 15% nylon nebs. This is just like Donegal Sock but warmer. *Buttery Soft DK, which is just so soft. It’s made of 45% baby alpaca, 45% extra-fine merino, and 10% silk. The giveaway ends on Monday, February 25th at midnight. 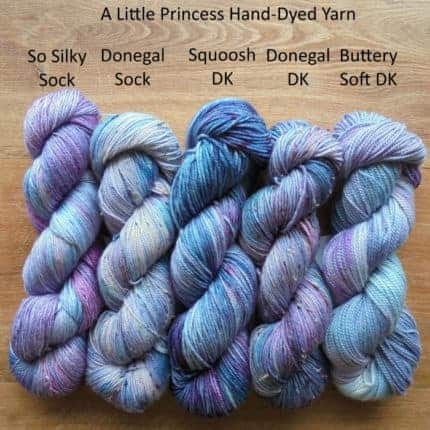 This time I chose one of my favorite colorways — A Little Princess — and you get to choose your favorite from five different yarn bases. The winner will receive his or her favorite one. Everyone who enters will also receive a free subscription to my awesome weekly newsletter with secret sales for subscribers only, free patterns and tutorials, and a monthly interview with an amazing pattern designer. You’ll also receive a coupon for 15% off your first purchase from Purple Lamb as soon as the giveaway ends. 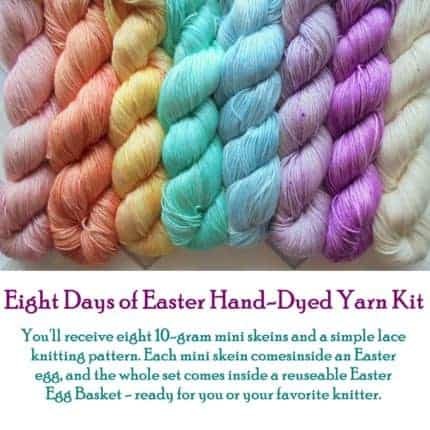 After you choose your favorite skein of yarn, you can get extra entries and increase your chances of winning by liking, following, and sharing. 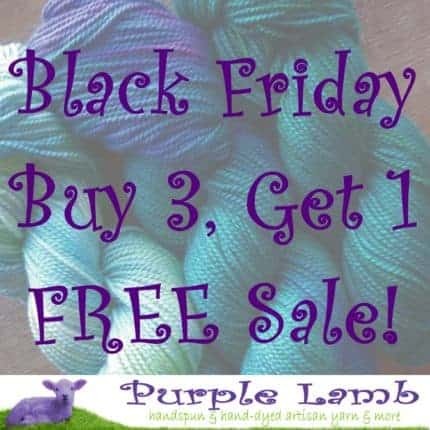 Thanks for helping to spread the word about Purple Lamb Fiber Arts! It means a lot to me. 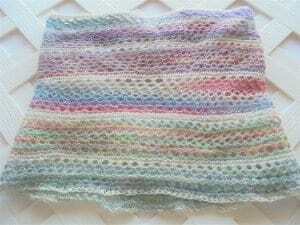 I have a wonderful new squishy soft yarn base available in my shop. It’s called Squoosh DK, and it’s made of 100% extra-fine Merino and comes in 4 ounce skeins with 250 yards each. I can’t stop squeezing it! I am starting this new collection with eight different coordinating colorways. 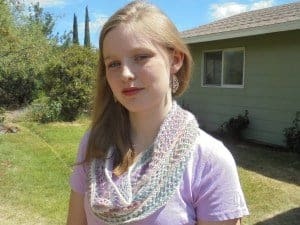 I’m doing another Choose Your Yarn Adventure Giveaway. 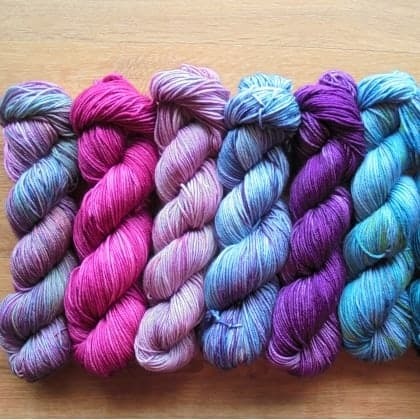 This time I have four different colorways on four different yarn bases for you to choose from. 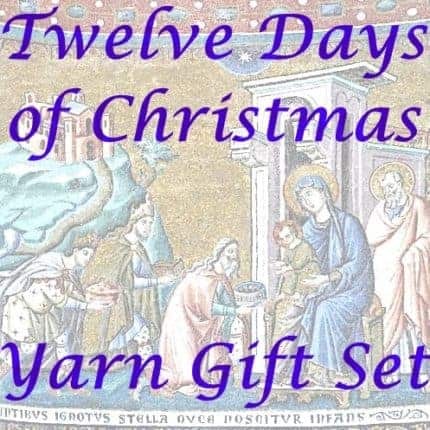 The winner will receive his or her favorite skein. You can find out more and enter to win here. 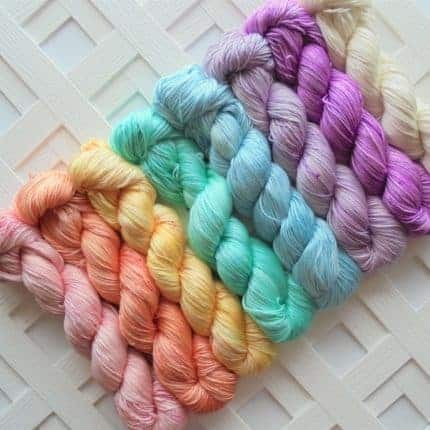 Also, as I look toward the new year I have decided to focus on fewer yarn bases and more different colorways, so to that end I have a super sale going on some lovely yarn here. I’m doing a Choose Your Yarn Adventure yarn giveaway!! This giveaway ends at midnight on Sunday, November 4th. I’ll be announcing the winner on my website, on Facebook, and by email on Monday, November 5th. 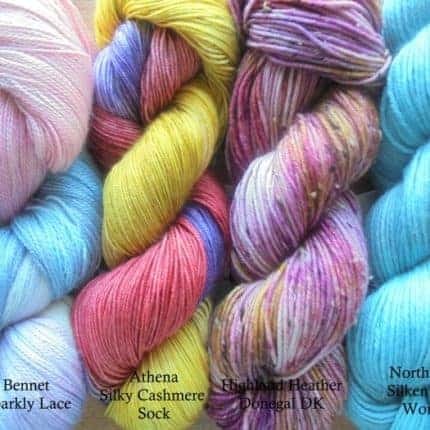 I have three beautiful sock-weight skeins for you to choose from on different wonderful yarn bases. 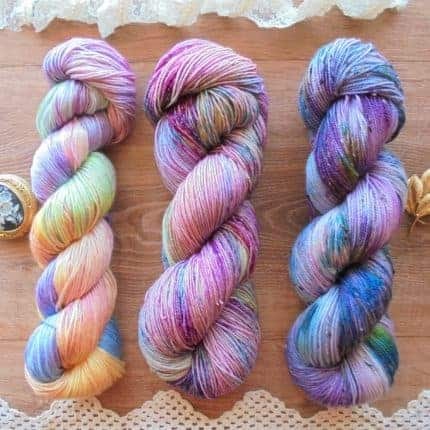 The one on the left is Lizzie on my So Silky Sock base, the one in the middle is Smaug’s Treasure on Sparkly Merino Sock, and the one on the right is Nebula on Donegal Sock. Which one is your favorite? Just go follow the link here to choose your favorite and enter the contest. The winner will receive his or her favorite skein. Everyone who enters will also receive a free subscription to my awesome weekly newsletter with secret sales for subscribers only, free patterns and tutorials, and a monthly interview with an amazing pattern designer. You’ll also receive a coupon for 15% off your first purchase from Purple Lamb.